Until the digital era dawned on us, the billboards, newsletters, flyers and newspaper print ads were the leading methods of marketing the brand. But, given the remarkable growth of digital marketing, the need of expanding your campaign on digital platforms has also greatly risen. Realising this need, every business be it small or a giant, wants to come up with a strong digital marketing campaign to build a deeper relationship with the existing customers and also bring on newer customers under their umbrella. When it comes to small enterprises, not every entrepreneur is keen on spending a bomb on digital marketing. Some are keen on understanding the basic dynamics and then go forth with the services of digital marketing agency. WordPress is one of the biggest CMSes that a digital marketer can lay his hands on. It is a free platform on which you can build your website or a blog. Simple, customizable, secure and free, these four features can make it the backbone of your digital efforts. 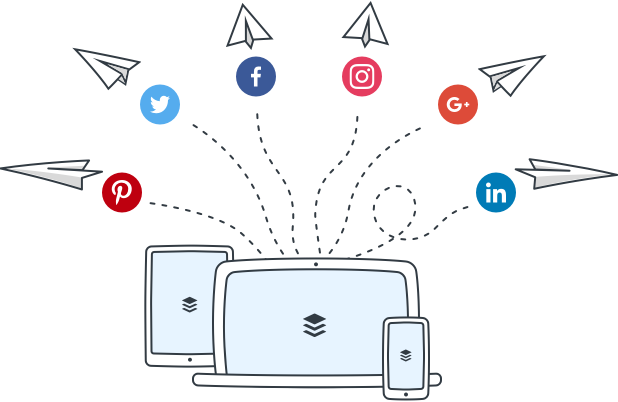 Sync the content you create with your Facebook and Twitter handles, promote smartly yet selectively, and before you know it, you’ll be engaging with the customers who are most likely to avail your products and services. Since visual content is a major fundamental of digital marketing campaigns, having a user-friendly graphic design software like Canvamakes creating infographics and illustrations becomes easier. It has a free and vast library of fonts, illustrations, and images that can be easily dragged and dropped on the desired template to create a unique infographic or poster. Anyone aiming for digital marketing would know the power of social media. Using a tool like Buffer helps you increase the number of followers and engage with a huge audience. All of this is possible as it lets you connect multiple accounts to one dashboard. With this, you can schedule the posts ahead of time, create drip campaigns and do a hell lot to maximum your campaign reach. Search Engine Optimization or SEO is one powerful way of getting traffic to your website through organic searches. Using this technique, one can convert the traffic into business. So, for a successful SEO campaign, one needs to use a robust SEO tool, like Moz, which can help pick the most appropriate target keyword, track link profile and compare it with the competitors. Google Analytics is by far one of the most popular free tools that empower your digital media campaigns like no other. It has a whole host of features that are required to get all the needed insights on your campaign. From getting data on reader engagement to real-time overview, this is a one-for-all option. Due is an app that can be used to assess your budget for each of your marketing projects. With budget management taken care of, a lot of things can be put in place to enhance your campaigns and also increase the productivity. This tool helps you with calculating the billing time, form invoices and maintain a record of the payments on one platform. With all these features, it forms an ideal platform for the freelance marketing professionals and also for the smaller enterprises. Also, you can use the most innovative technology such as video KYC service and protect your business from scams. Peek is the software for you if you wish to understand how people are using your website. It is an amazing tool that helps you see and hear a five minute video of a real person using your website. There are three Peek tests that can be performed every month, which take about 2 to 3 days to complete. Any good tools we missed? Let us know, for we’re all ears! Previous articleHow to create better Facebook video ads? Next articleWe all have a Gmail account but are we using it right?